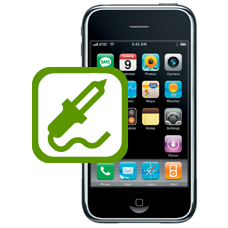 Have you have damaged the WiFi socket connector on your iPhone 3G, allow our expert technicians to repair by removing the damaged socket 6 connector and replacing with a brand new one. These WiFi socket 6 connectors are easily damaged when dismantling or reassembling the iPhone. The common symptoms of this fault are a visibly damaged socket, and you will be unable to plug the WiFi connector tail onto the logic boards socket, thus having no WiFi.